A group of local businessmen got into the swing of things by hosting a two-day golf tournament, raising an incredible £80,177 for The Children’s Cancer Unit Charity. Organisations from construction, property, energy, banking, hospitality and other sectors made up the 74-team competition which was held at Rockmount Golf Club in Carryduff. 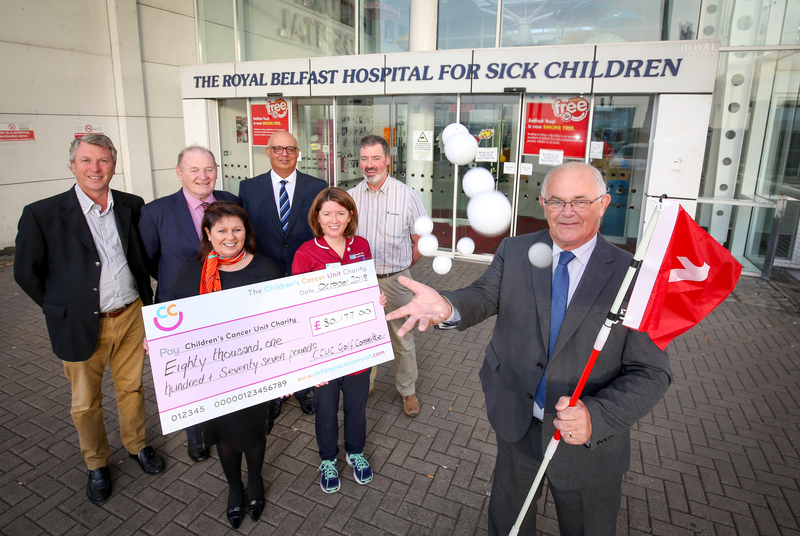 The fundraising total, which was generated through 4-Ball sales, sponsorships, donations and charity auction bids, will go directly towards supporting the work of the Children’s Cancer Unit at the Royal Belfast Hospital for Sick Children. 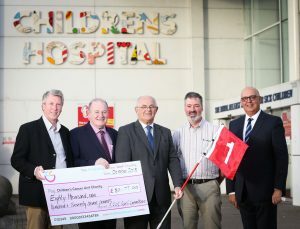 “We are absolutely thrilled with the amount that was raised through our charity golf event this year. 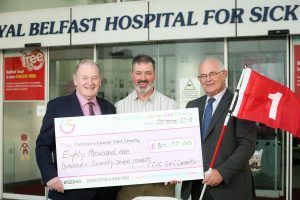 Businesses from right across Northern Ireland came out in force to lend their support to this fantastic cause and had a great time on the course while doing so. “The Children’s Cancer Unit at the Royal is the only place where children in Northern Ireland can receive their specialist treatment for cancer. 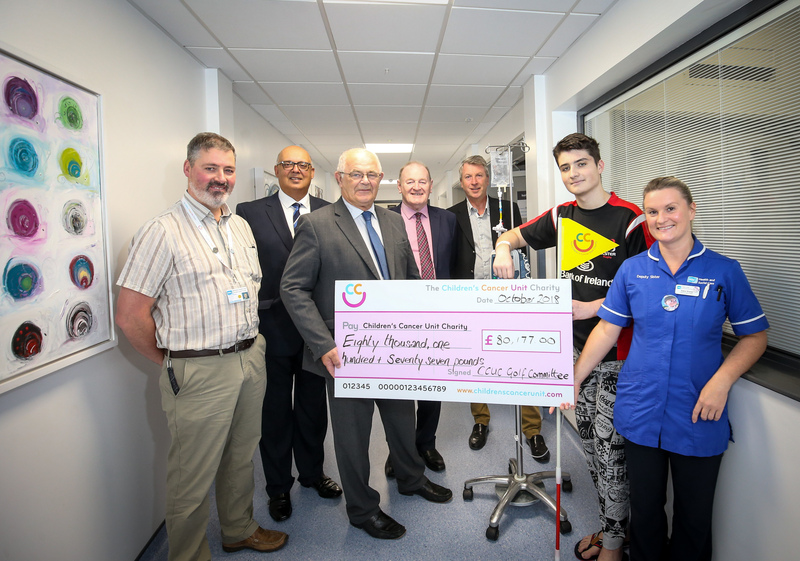 Supporting the medical team and the children who are treated there is central to the work of The Children’s Cancer Unit Charity, so we are incredibly grateful for the support of the local business and golfing communities. 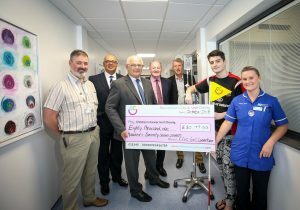 “One way that we assist the Children’s Cancer Unit is through the funding of essential equipment. This year, we have pledged the necessary funds to buy a new ultrasound scanner that is greatly needed at the Children’s Hospital, so these funds will go a fair way in helping us to achieve that.”The fundraising event was organised by the Children’s Cancer Unit Charity Golf Committee, which includes local businessmen, Malcolm MacFarlane, John Morgan, Johnny McQuillan, David Hassard, Steven Kher and Felix Mooney.